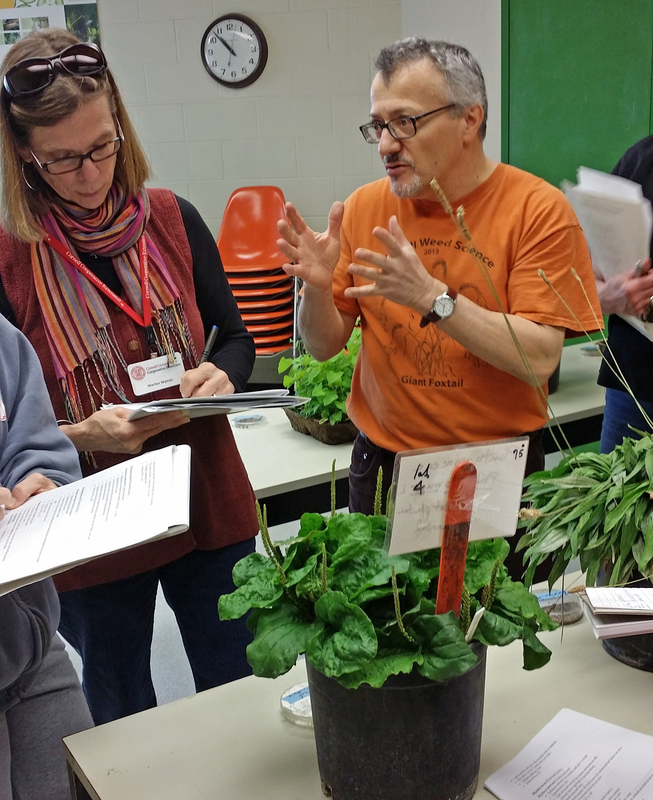 Professor Antonio DiTommaso, Cornell Department of Crop and Soil Sciences, in cooperation with the Cornell Cooperative Extension Invasive Species Statewide Program, held a one-day hands-on workshop on weed seedling identification for PRISM partners. Scott Morris, Kathy Howard, and Courtney Stokes, Department of Crop and Soil Sciences, assisted with the workshop. The workshop was held on the Cornell campus on Thursday, May 8 from 9 am – 4 pm. 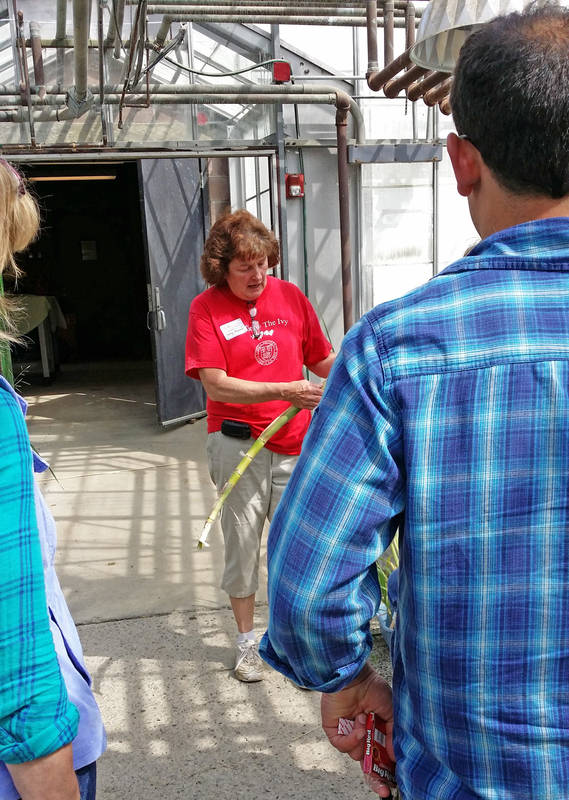 Live seedlings, seeds, mature plants, and photos were used in this very interactive event that included some lecture and presentation, a before and after weed ID “quiz”, hands on seeds, seedlings, and mature plants in the Muenscher greenhouses to view, and a walk in the new weed garden. 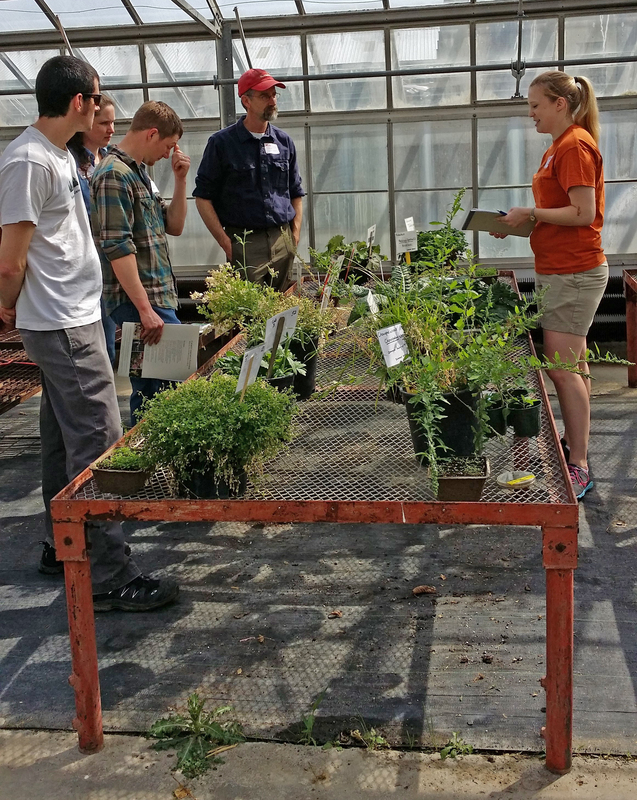 Weeds, or invasive species, included both agricultural and natural area weeds. General weed management approaches were discussed during the presentations. Nineteen participants came from around NYS, representing 5 of the 8 PRISMs (Partnerships for Regional Invasive Species Management). PRISMs, established by the NYS Department of Environmental Conservation, coordinate invasive species management functions in the 8 PRISM regions throughout the state. The CCE ISP is a statewide program funded by the NYS Environmental Protection Fund through the NYS Department of Environmental Conservation. The program, established in 2010, provides assistance to the PRISMs, including education for PRISM members and their audiences, on-line resources, and connections to Cornell faculty and CCE Associations. The NY Invasive Species Clearinghouse (www.nyis.info ) is a partnering CCE and NY Sea Grant program that provides on-line resources. The NYS Invasive Species Research Institute, housed in the Cornell Department of Natural Resources, is the third partner in the CCE system supporting PRISMs with the most effective and up to date control of invasive species in NYS. An invasive species is a species that is non-native to the ecosystem under consideration and whose introduction causes or is likely to cause economic or environmental harm or harm to human health (National Invasive Species Management Plan – 2001 (http://www.invasivespecies.gov/main_nav/mn_NISC_ManagementPlan.html )).